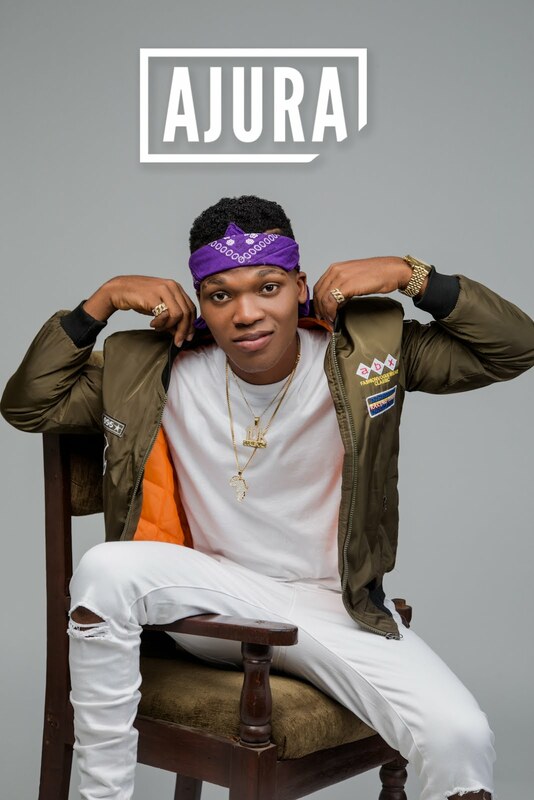 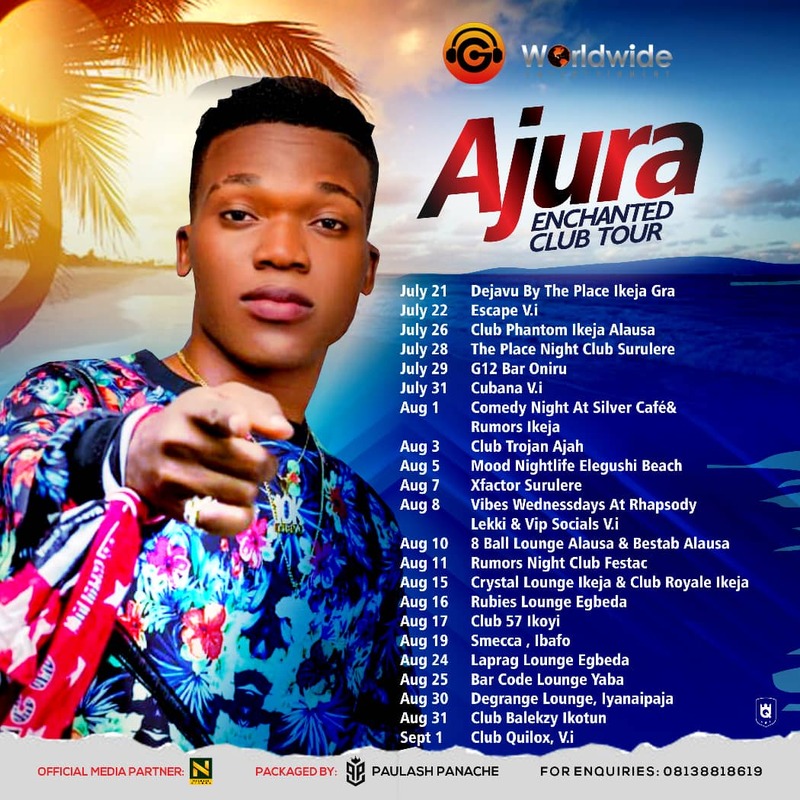 G-Worldwide's fresh signee "Ajura" embarks on a first-of-its-kind promotional tour for his wave-making single "Enchanted". 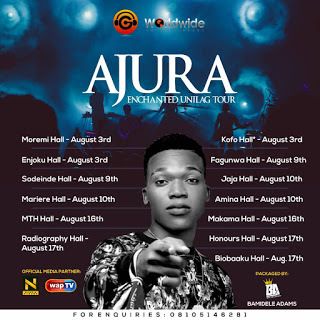 Ajura will be showcasing his talent with electrifying performances across 22 Night Clubs in Lagos and will be headlining Unilag Hall weeks grand finale events where he will be touring 13 halls in University of Lagos slated to kick off 3rd to 17th of August, 2018 which he calls "Enchanted Unilag Tour". 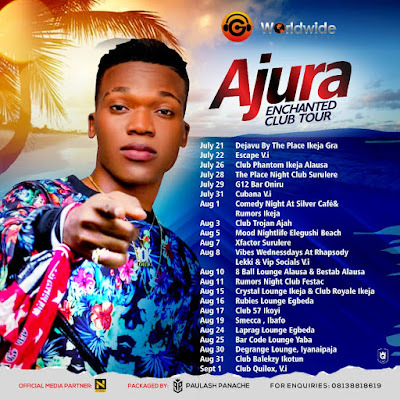 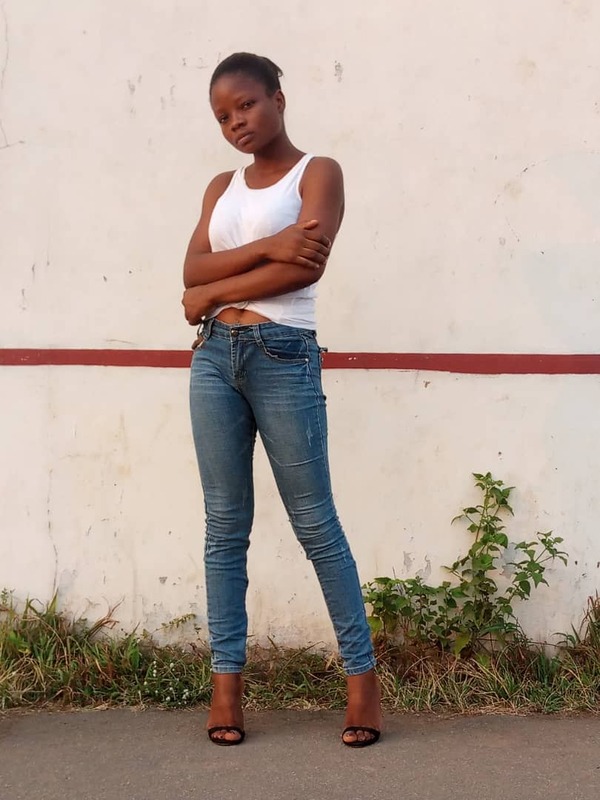 The "Enchanted Club Tour" which kicked off over the past weekend at Dejavu and Club Escape in Victoria Island shall cut across all major party hubs on the Lagos island to the Lagos mainland with the final show holding at Club Quilox in Victoria Island.